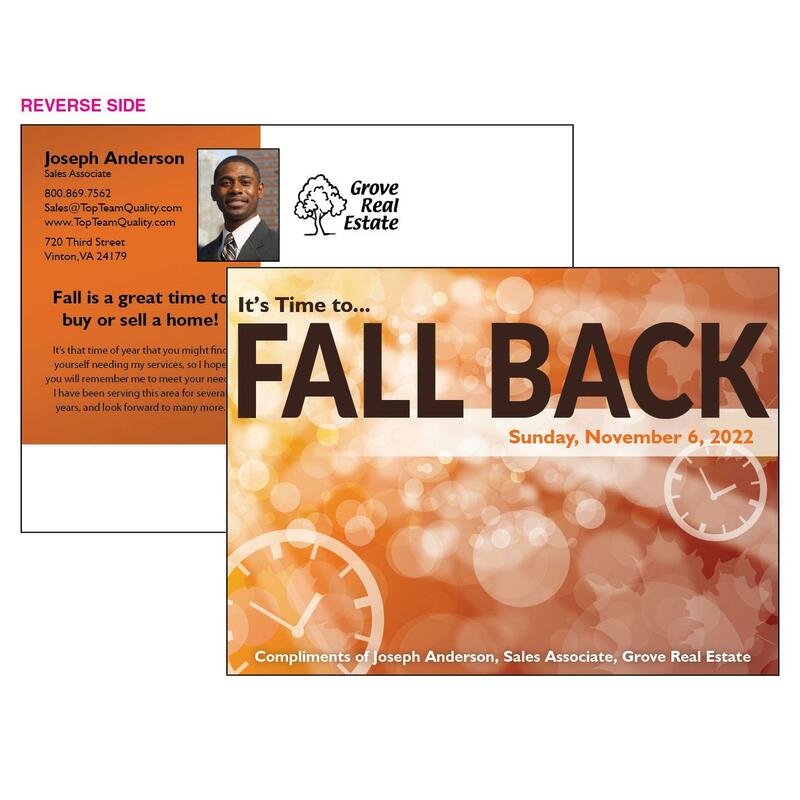 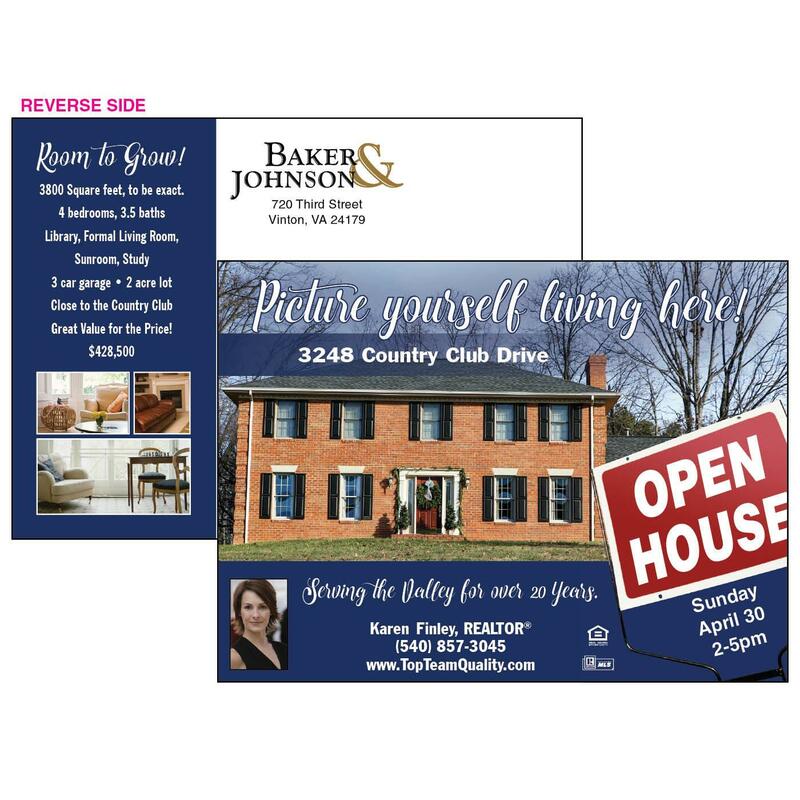 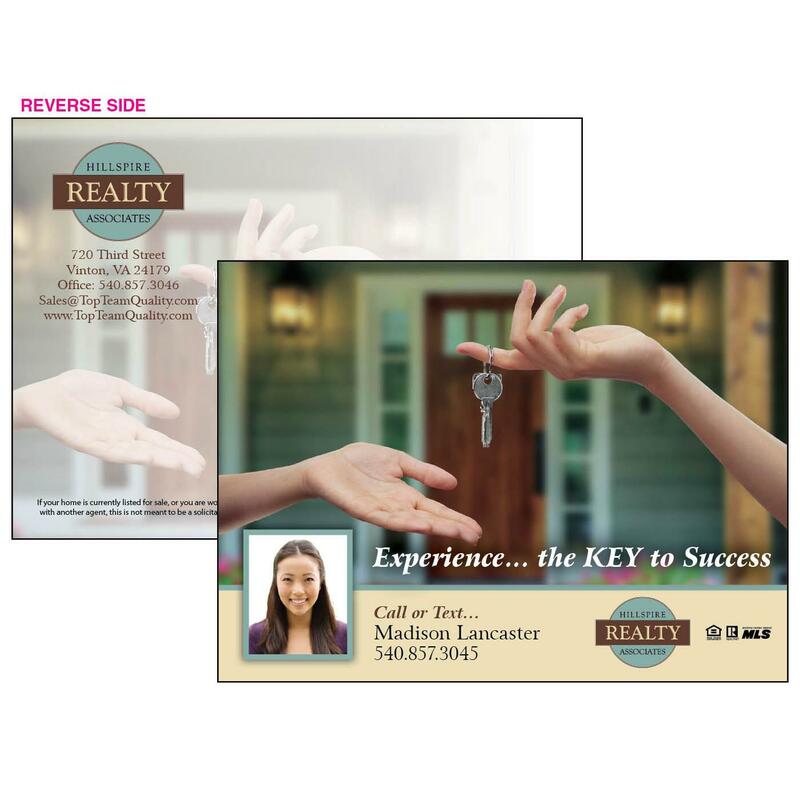 Bring your business directly to your clients' hands with a high-quality, gloss-coated postcard. 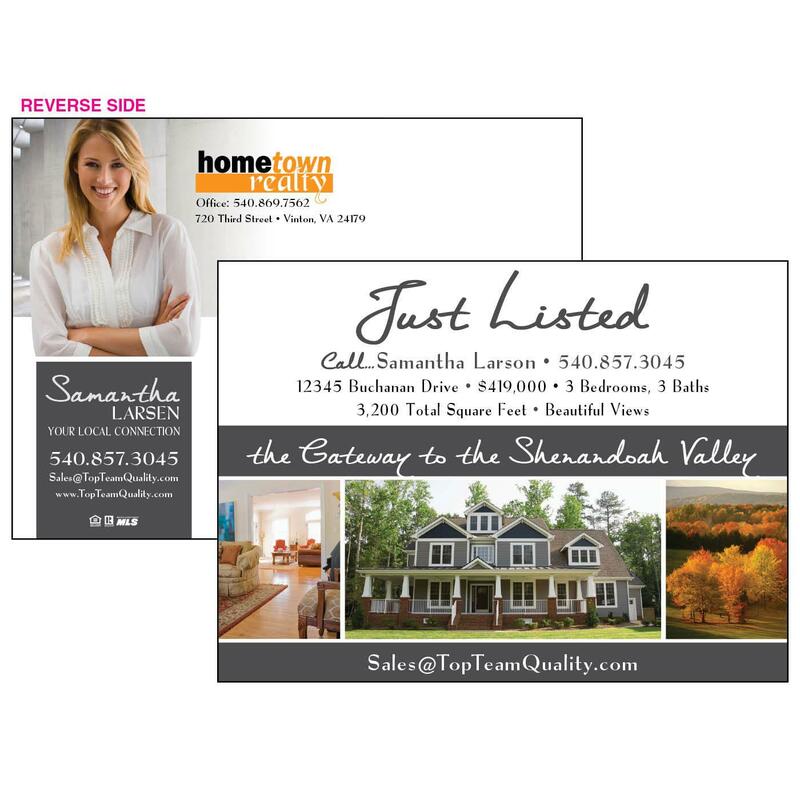 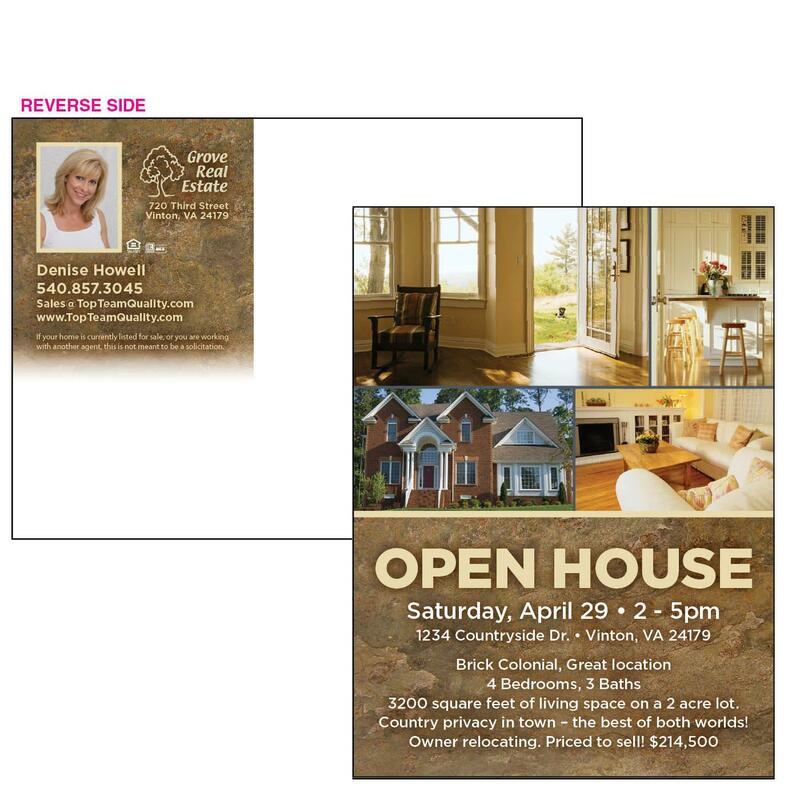 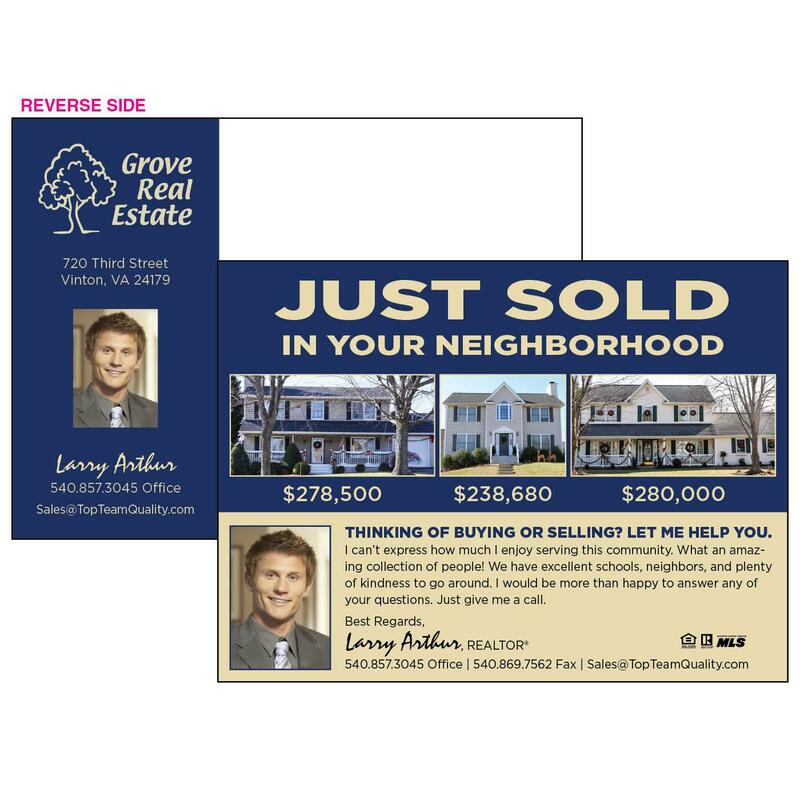 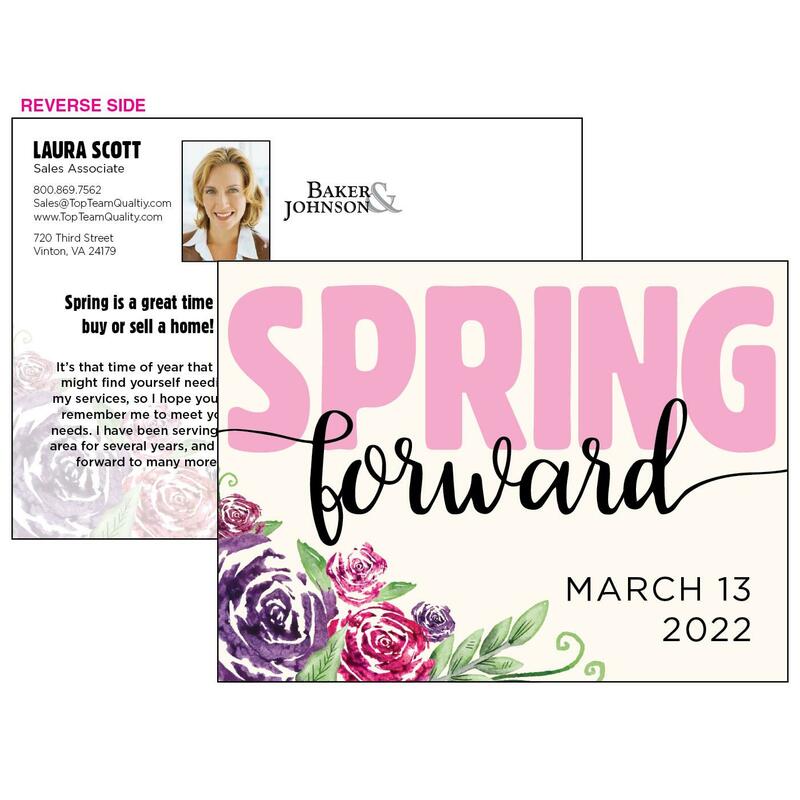 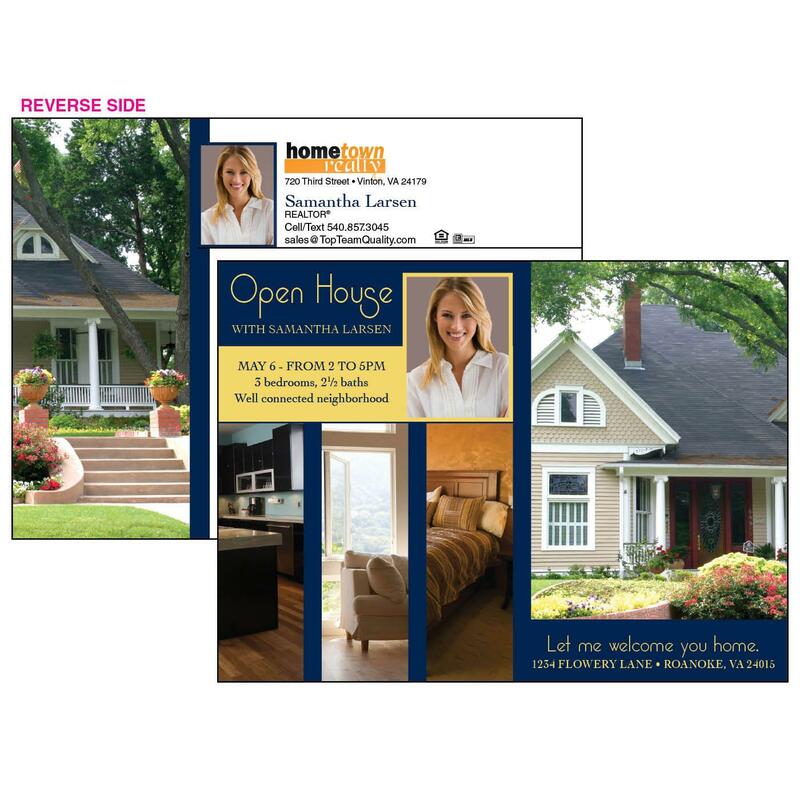 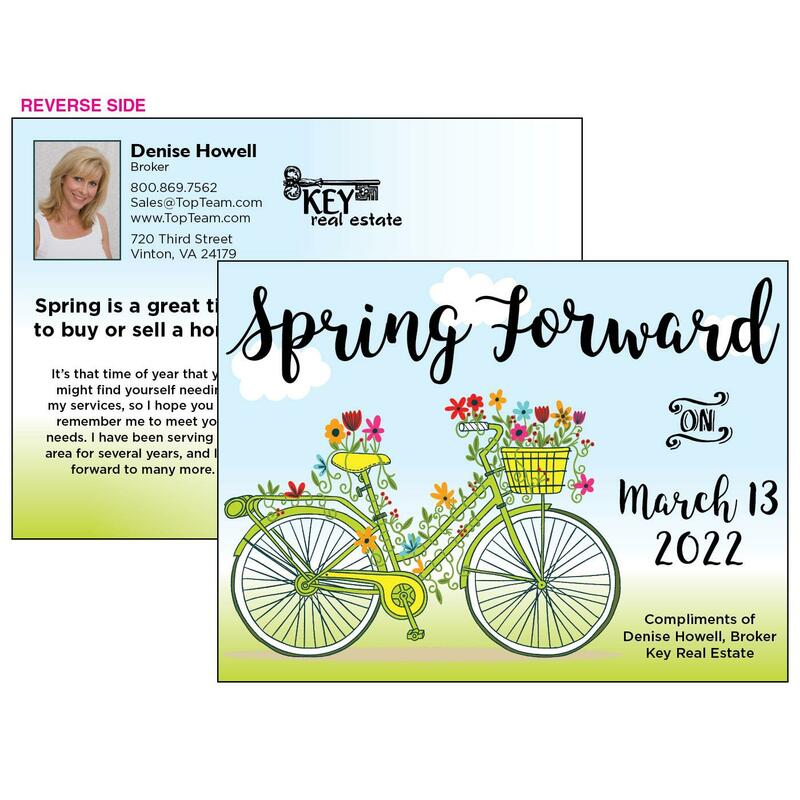 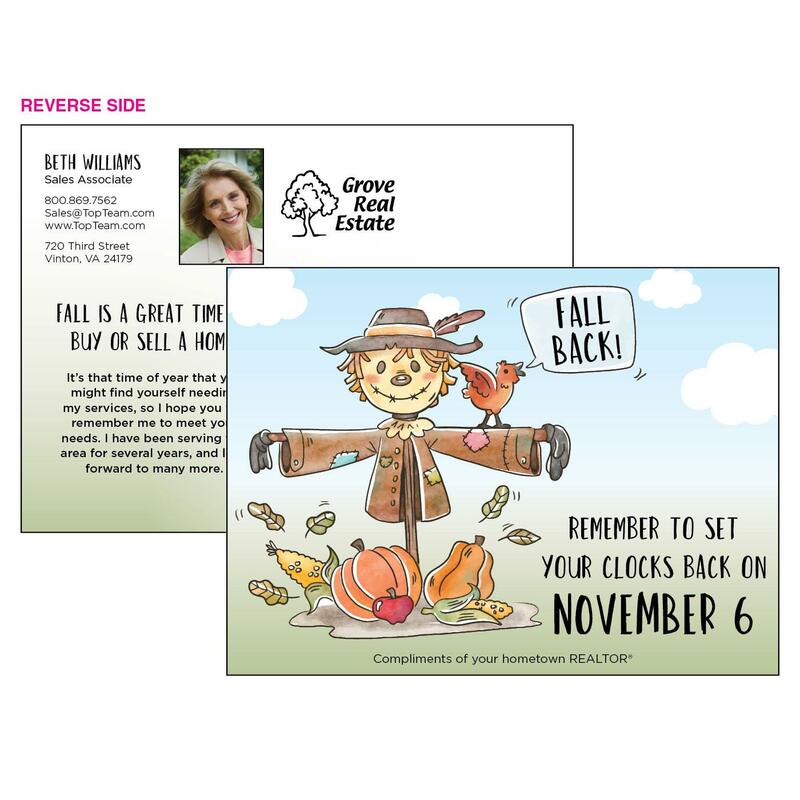 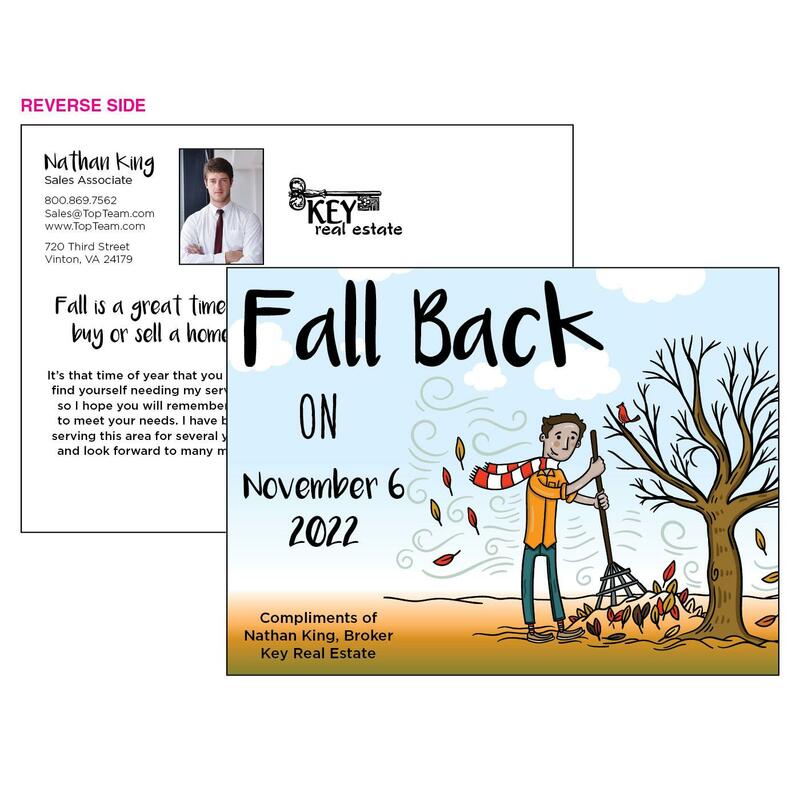 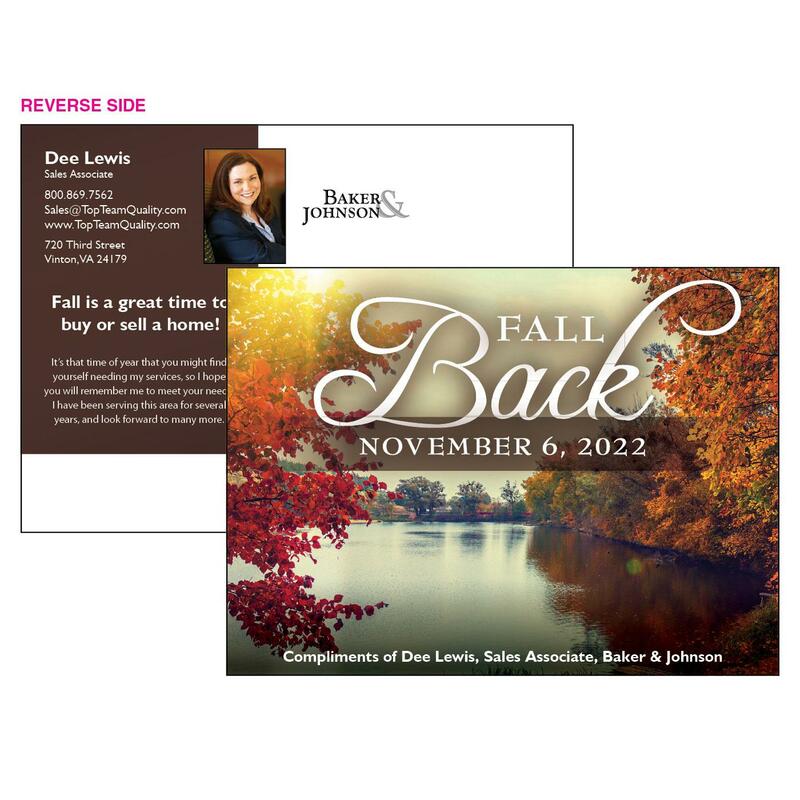 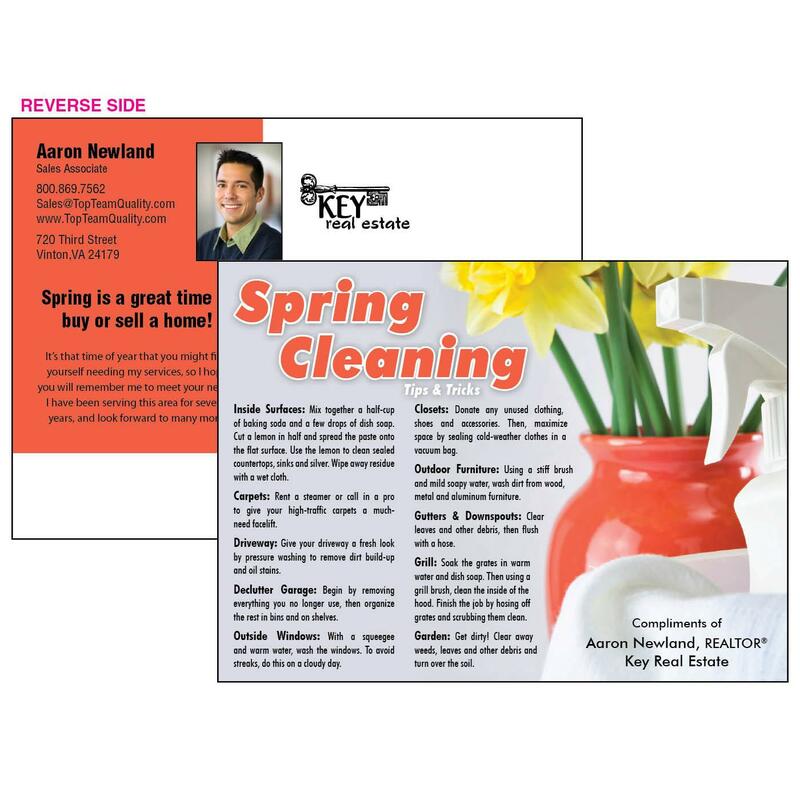 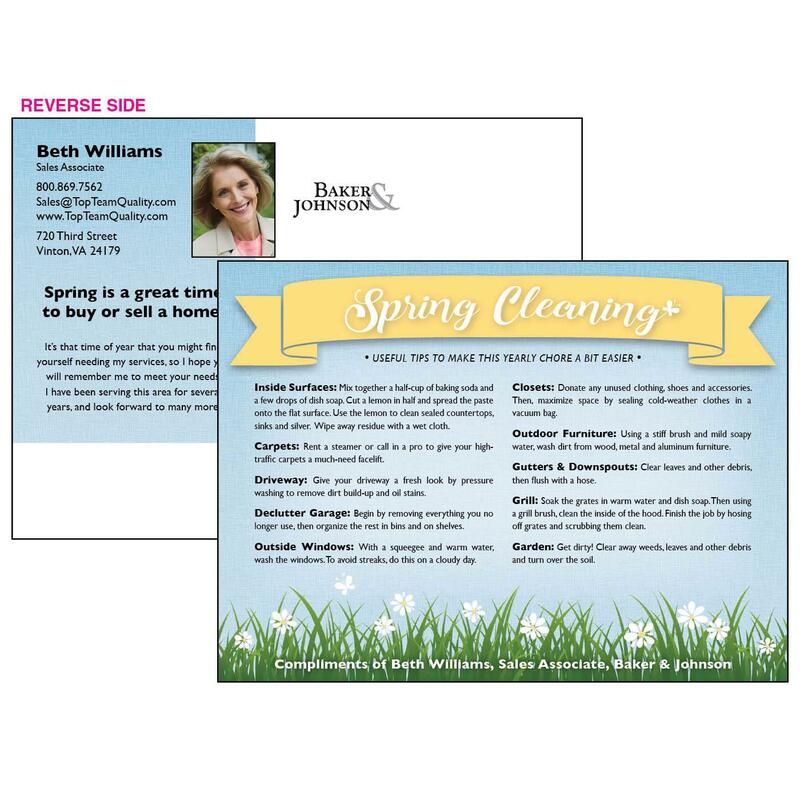 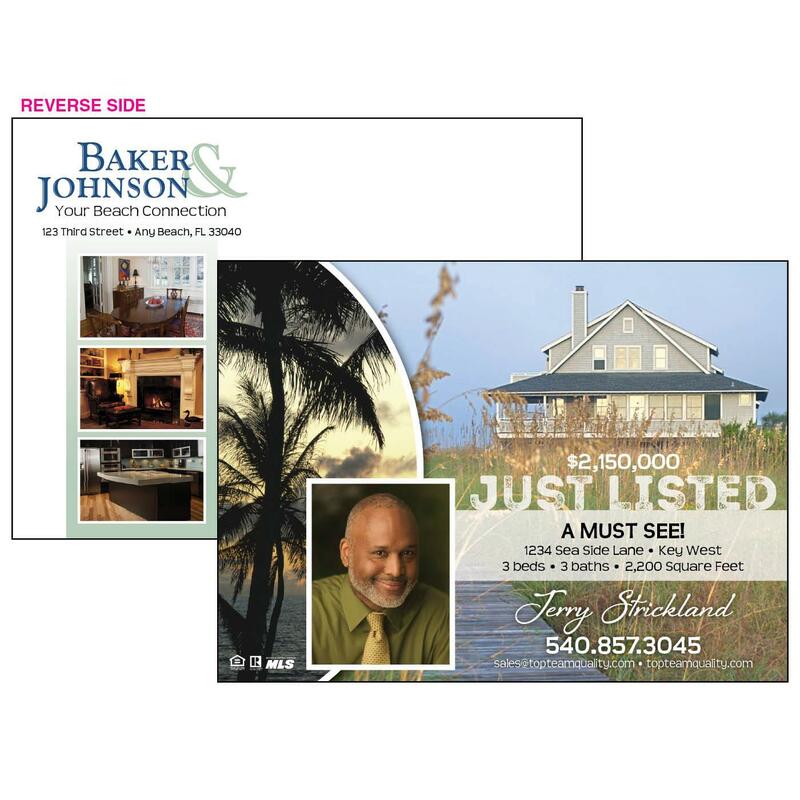 Featuring market information, home tips and more, a postcard is still one of the most proven ways to reach out to a large number of contacts. 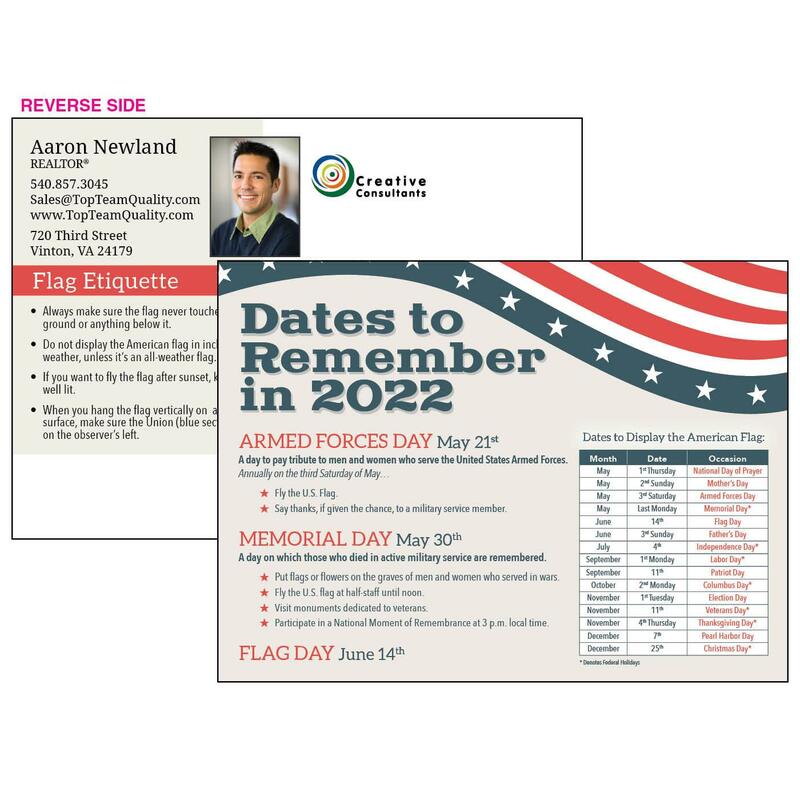 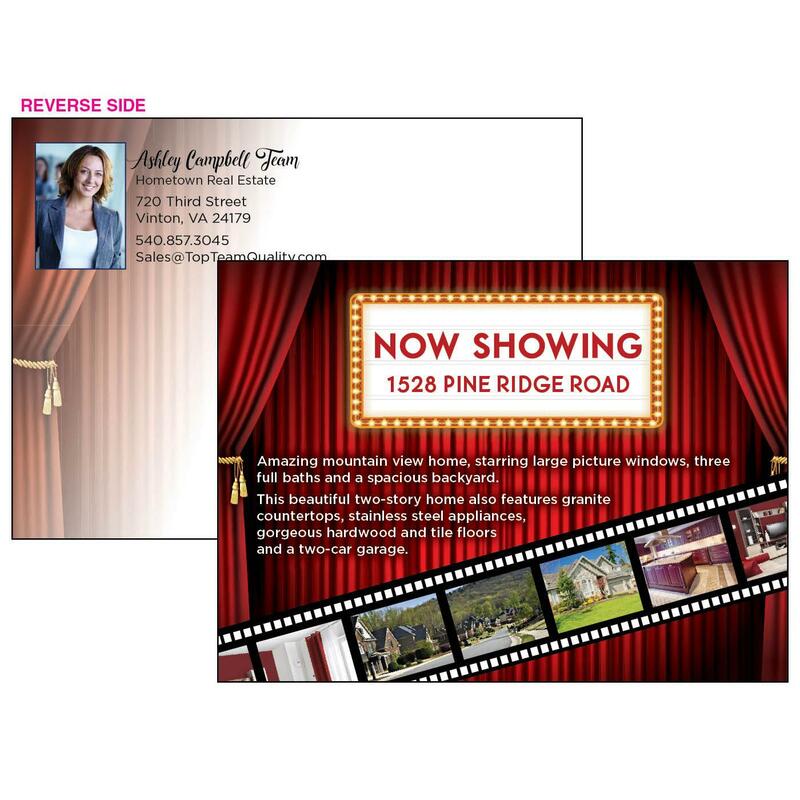 Postcards mail for First Class Mail Postcard rates, making them inexpensive and effective marketing tools. 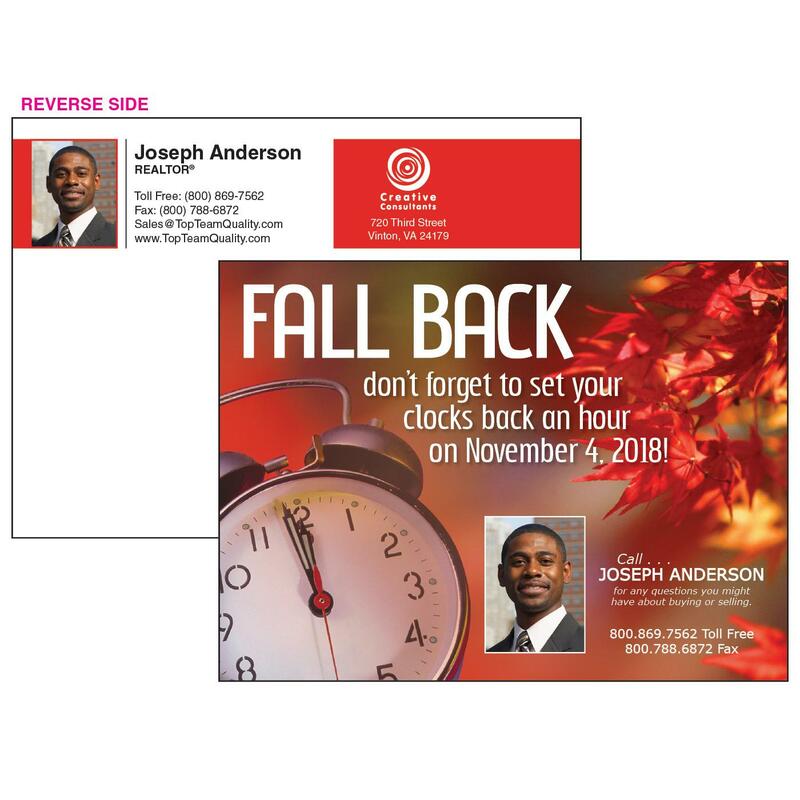 12 pt. 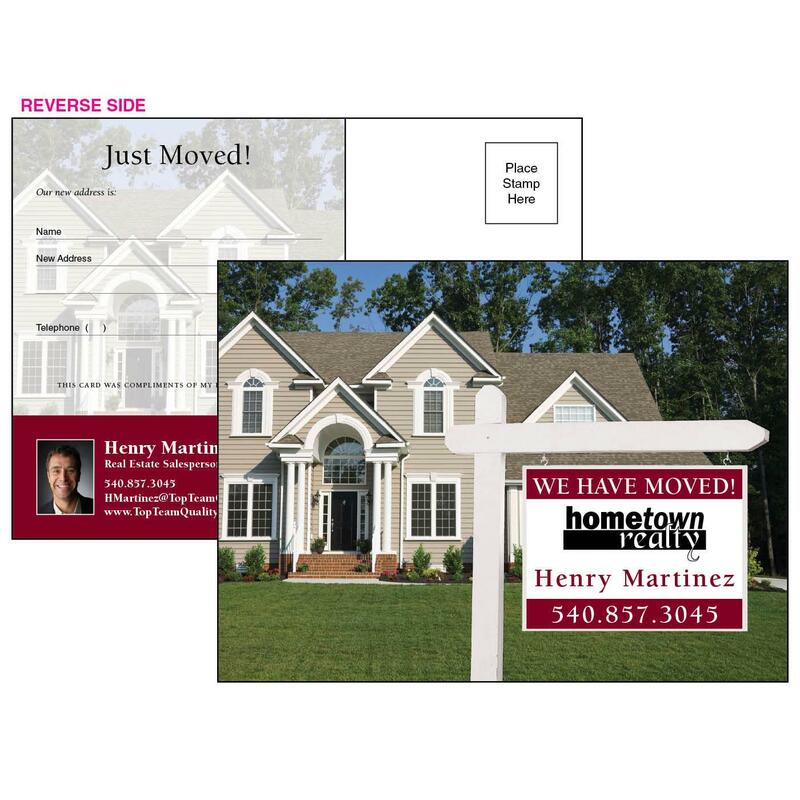 card stock • 5.7" x 4.2"
12 pt. 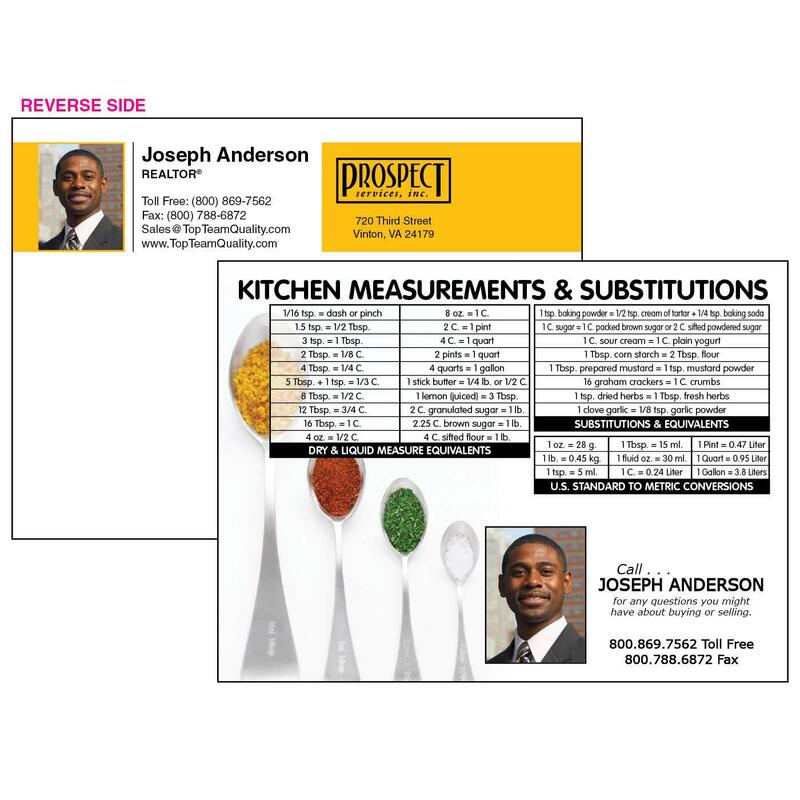 card stock • 4.2" x 5.7"